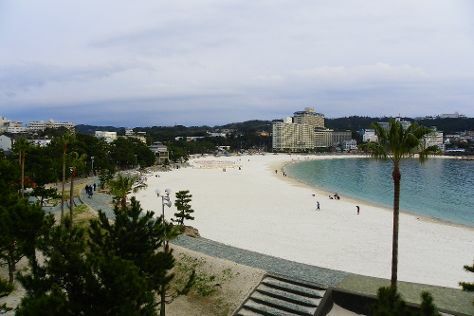 A popular resort town with many hot springs and long, man-made white sand beaches, Shirahama-cho draws scores of tourists. With two of its public baths declared World Heritage Sites, the town also has two UNESCO-protected Shinto pilgrimage spots on an ancient road at the foot of the nearby Kii Mountains. Dip into a waterfront onsen, or explore limestone caves and natural arch formations just off the coast. Those vacationing in Shirahama-cho during swimming season (July and August) can watch a nightly fireworks show. An adventure park and large aquarium with regular dolphin shows and a large Ferris wheel provide entertainment. Shirahama-cho is in Nishimuro-gun. In the build up to your vacation in Shirahama-cho, plan trip itinerary minutiae using the visitor reviews, staff write-ups, and custom search fields on our Japan trip builder website .